Marcia Holstad saw great potential in the LIVE Network as an education tool for HIV clinicians and had a developer repackage it as a smartphone application called Music for Health. 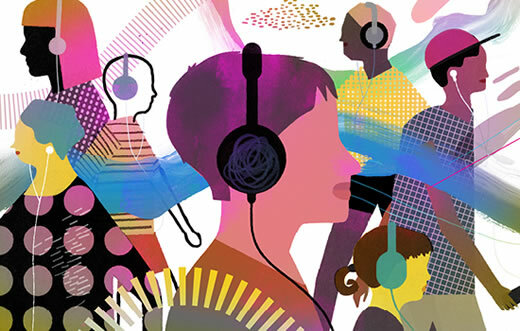 To combat the problem, Emory nursing professor Marcia Holstad PhD FNP-BC FAANP FAAN, created the LIVE Network, a 70-minute simulated talk show and music program to educate and motivate men and women about their health and taking their medication. The network covered topics such as T-cells, viral load, and dealing with side effects from disease and medication. The music—12 songs from different genres—made learning about HIV enjoyable in keeping with the program theme of "every dose, every day."